Tasos Dourountakis was born in Crete in 1940. The first sounds he remembers were the sounds of war and battle from the German invasion of his beautiful island, but the sounds of battles from the past were still fresh in many ears and as he grew up he was told the true life stories of his family and of how they struggled during successive oppressions and occupations dating as far back as memory would allow. But there were also tales of love, heartbreak and happiness. 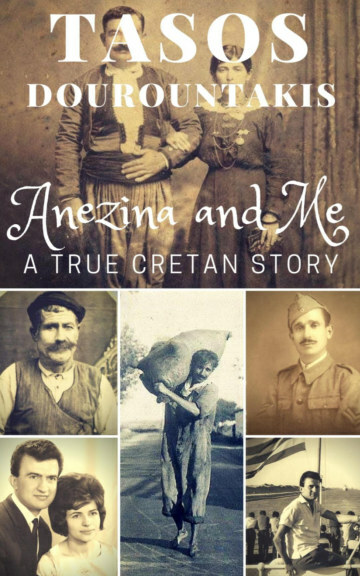 Now, in a completely revised edition from his earlier Greek language edition, his book, 'Anezina and Me - A True Cretan Story' tells the story of his family and home-village of Gerani in his own words.